Kershaw Knives and Emerson Knives have joined forces on a series of knives that combine the precision engineering of Kershaw with Emerson's uncompromising functional design. 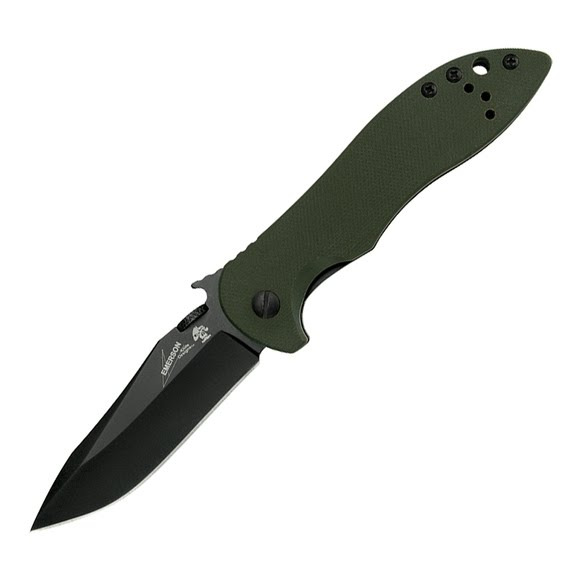 The CQC-5K features a modified clip-point blade for versatile cutting capability. Black-oxide coating protects the blade and makes it non-reflective, too. Kershaw Knives and Emerson Knives have joined forces on a series of knives that combine the precision engineering of Kershaw with Emerson&apos;s uncompromising functional design. Overall Length 7.1", closed: 4"